Your devices need reliable and lasting energy, so make sure you take full advantage of the power in your batteries. Duracell's long-lasting batteries with POWERCHECK™ enable you to see a battery's energy level so you can decide which device your battery should power. This way you get the most from your batteries, so no power is ever wasted. The power indicator is highly convenient and easy to use. When the contact points are pressed, the electrical energy starts flowing and then, converted into thermal energy, it flows through the conductive layer of the battery. As a result, the energy quickly warms the Thermochromic Ink. Warmed enough, it reveals the power display. Duracell is the only alkaline battery with a power indicator. POWERCHECK™ always shows the exact battery voltage so you can use the battery in another device instead of disposing of it. Duracell Turbo Max, our #1 longest lasting batteries* with the unique POWERCHECK™ that provides power indication at your fingertips. Just give it a squeeze. There are a lot of devices we cannot live without. Obviously, some of them need more energy than others. That’s why a power indicator is so helpful. When a high drain device stops working, it doesn’t mean that the batteries are completely out of power. There may be still enough energy to power a low drain device. For example, when you remove the used batteries from your digital camera, it may turn out that they perfectly work in a toy (do not mix used batteries with fresh batteries). The POWERCHECK™ technology makes it easy to check how much power is left in each battery to avoid unnecessary interruptions in your device usage and enables you to re-use your batteries in low drain devices even when they no longer work in high drain devices. A new battery shows a full power display, a used one has only a partial display and a depleted battery indicates that the level of energy is unusable. You simply press the white dots on both ends of the battery and see the remaining amount of power on the energy meter. 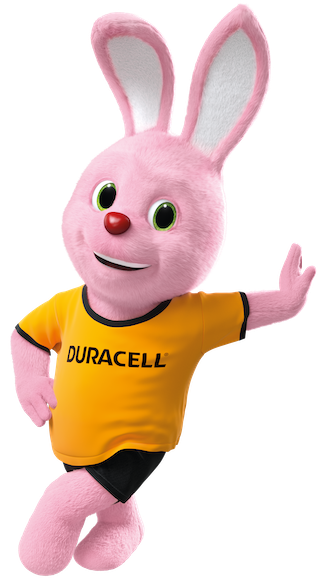 Learn more about Duracell’s POWERCHECK™ technology. This innovation allows you to take full advantage of the power in your batteries. Learn how the technology used to create our long lasting batteries makes us the #1 trusted battery brand.